Kanye & Jay-Z "What? What?" — Jordan Greenberger, Esq. Kanye West and Jay-Z are among the co-defendants in a case filed in the District of Maryland (which Plaintiff erroneously describes in the caption as being in the Sixth Circuit). Plaintiff Dayna D. Staggs -- who is likely appearing pro se -- has asserted...request your own copy of the complaint here. The complaint is an interesting, if not sometime confusing, read. But don't get the wrong idea; OTCS believes plaintiff's complaint would withstand a 12(b)(6) motion to dismiss for failure to state a claim! From what we gather from the single spaced, unnumbered, 6 page complaint (which includes a single signature line for the multiple defendants), Plaintiff seeks injunctive relief, damages, and legal fees arising for copyright infringement, unfair competition, and "unauthorized use of Plaintiff [sic] likeness and Mtv sound recording, composition and internationally musical content entitled 'Volume of Good Life' herein described on phonorecord white label by the United States Library of Congress." Though Plaintiff's grammar and syntax could be improved, the allegations have a good chance of satisfying FRCP's liberal pleading standards (Rule 8). What could be a more "short and plain statement" than one completely lacking legalese? Plaintiff alleges that he is the songwriter for the composition "Hollar at Me" (1985), released on EMI by R&B artists ICEE HOTT. But, this is all of minor relevance because the alleged infringement relates to Kanye West's release of "Good Life" on Roc-a-fella records. 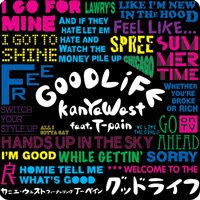 Plaintiff alleges to be the author of a composition and sound recording entitled "Volume of Good Life", which Kanye West sampled without authorization (and which his label released). Additionally, "the vulgar, sexual and racially-charged nature of the Infringing master work is directly counter to [Plaintiff's] long established public persona, utterly inconsistent with the musician, artist clean image. And harms the reputation of the Dayna D Staggs Copyrighted Rock/Pop master work clean titled 'Volume of Good Life." [sic]. Despite the numerous grammatical errors in his complaint, Plaintiff appears to have some idea of what he is doing. For example, he sent cease and desist letters which "did not receive a favorable response". He alleges the labels have commercially profited from the infringement. He alleges willful infringement -- "Defendants are undoubtedly familiar with [Plaintiff], his songwriter likeness, and also are friends of the Plaintiffs myspace page located at www.myspace.com/dmystro." He makes claims for legal fees, and claims that he has no adequate remedy at law (though he later requests punitive damages and states "the Actual harm Plaintiff suffered is reflected in the amount of licensing fee that Plaintiffs lost because of the infringement"). So in sum, Plaintiff has asserted an unauthorized sampling claim against Kanye West and his label and publishers.